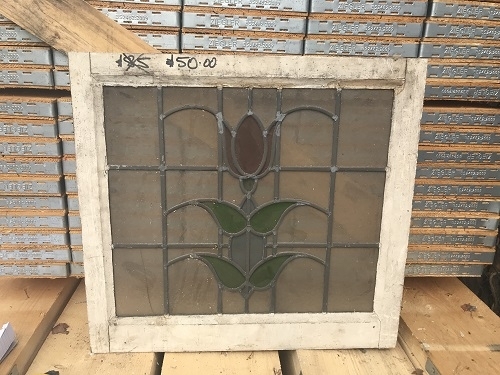 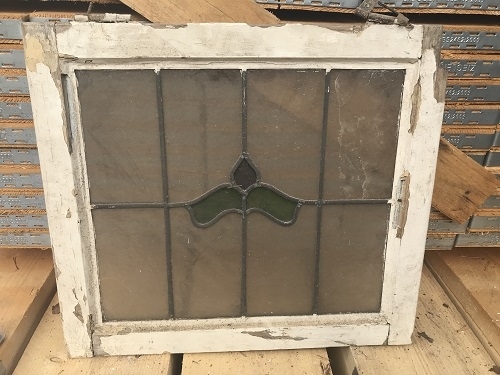 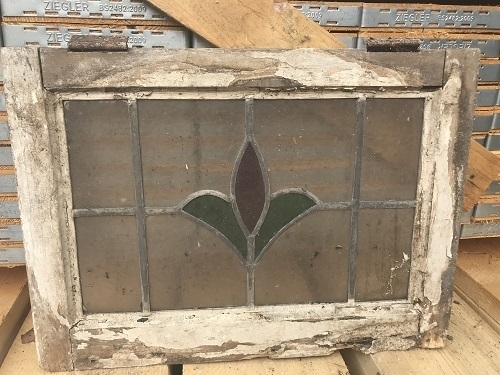 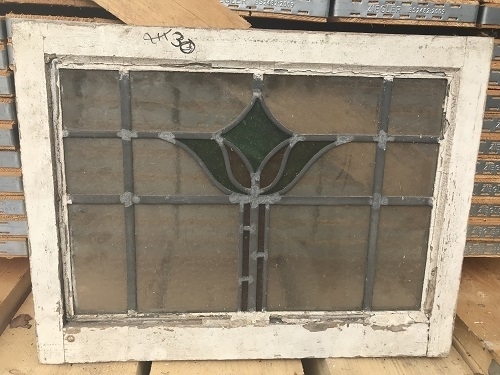 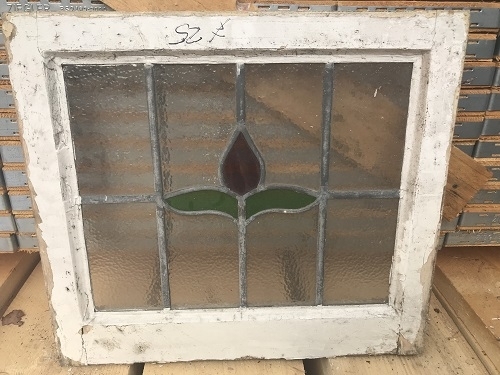 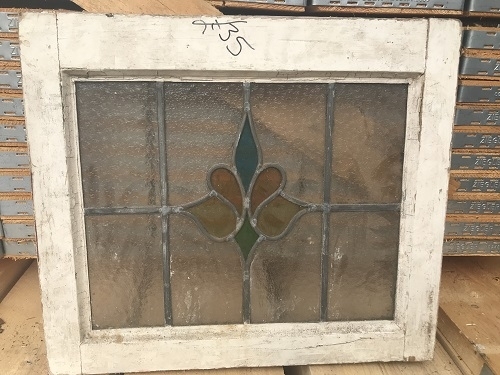 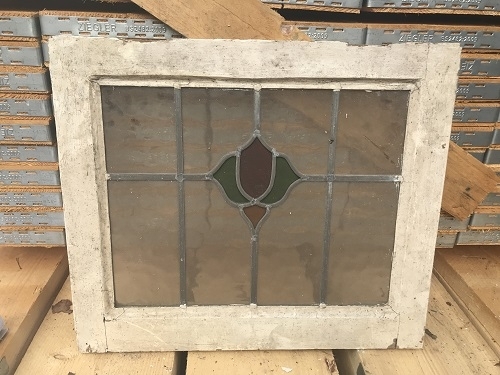 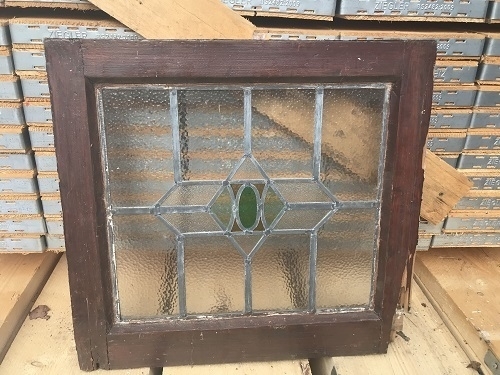 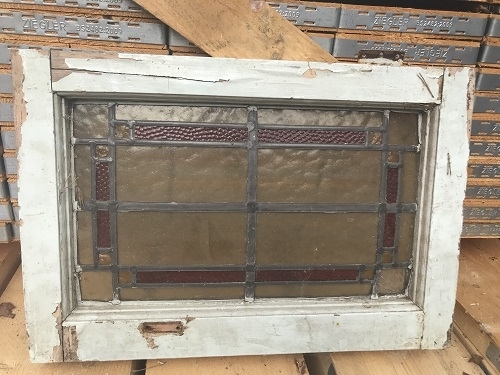 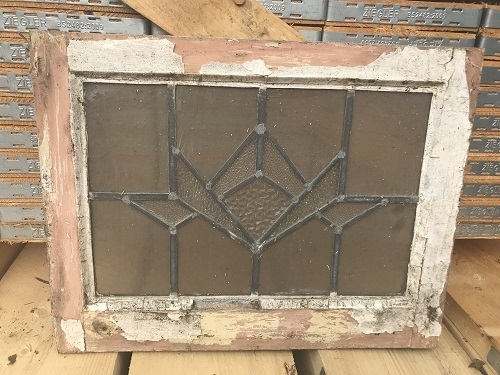 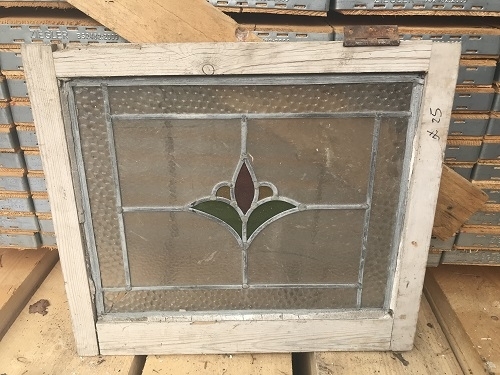 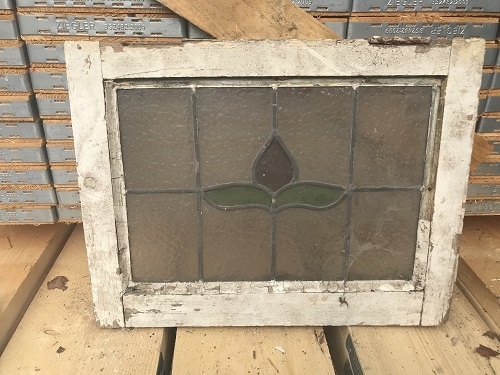 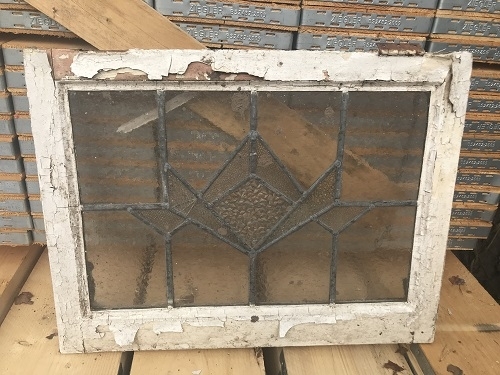 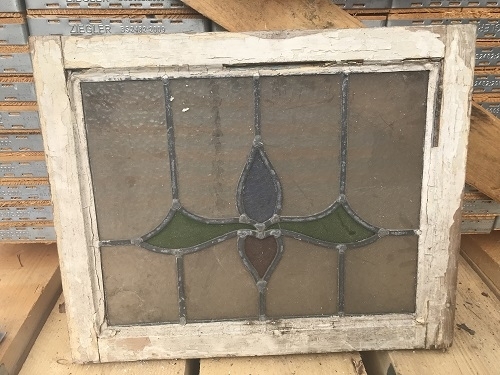 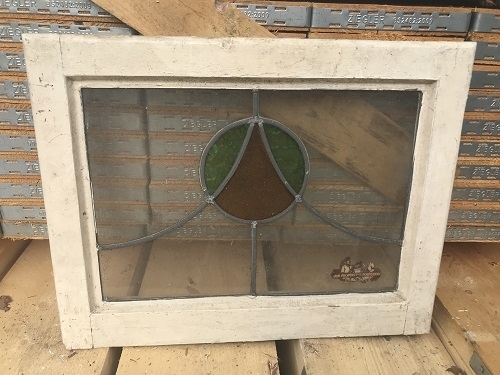 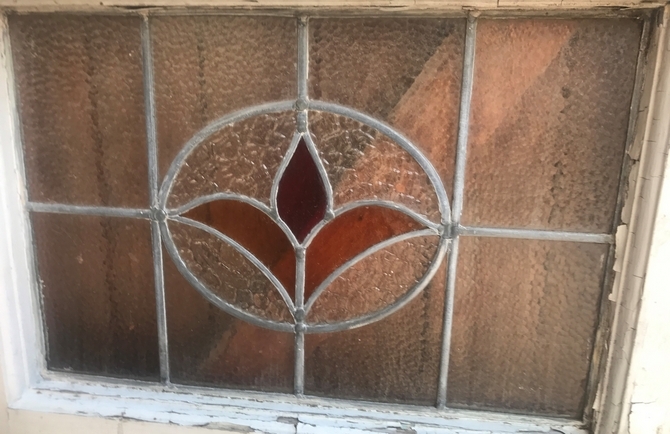 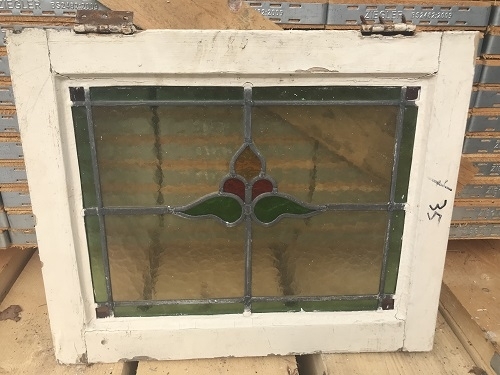 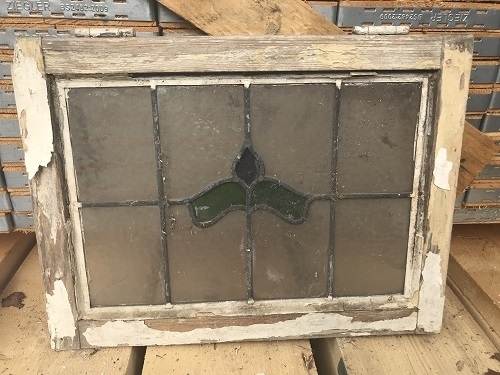 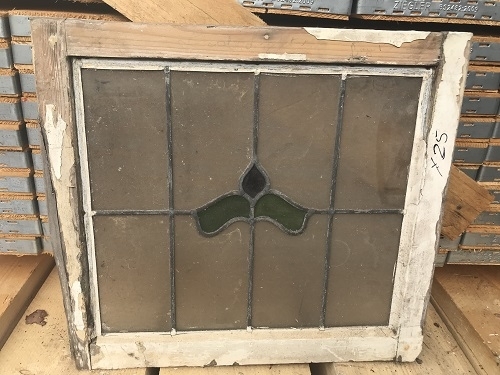 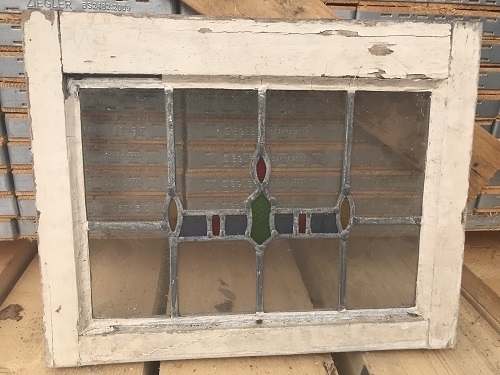 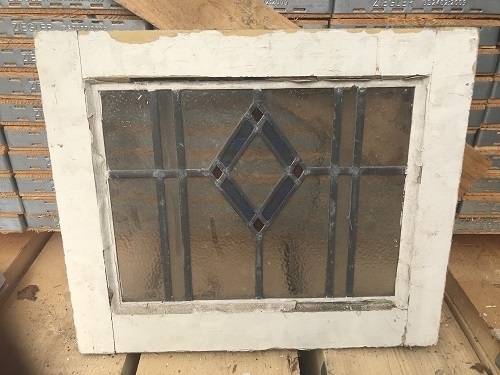 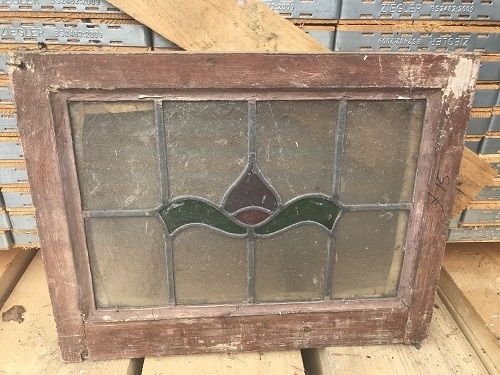 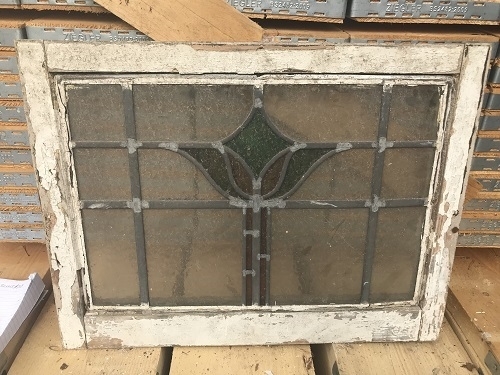 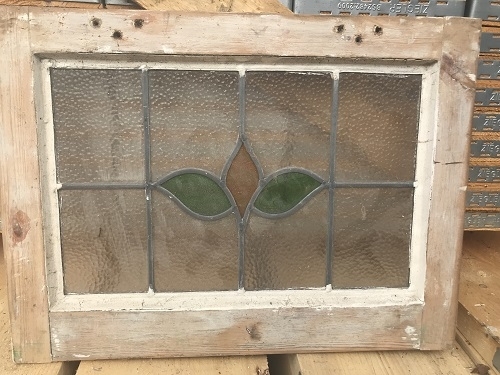 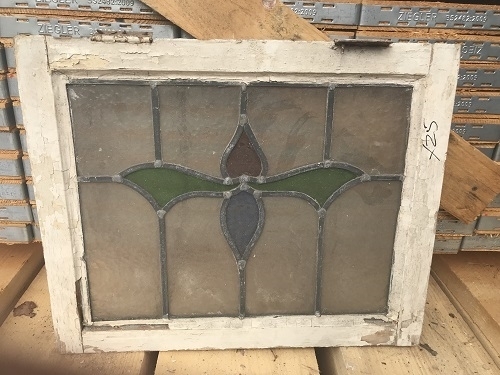 We probably have more than 500 pieces of antique stained glass in stock at any one time. 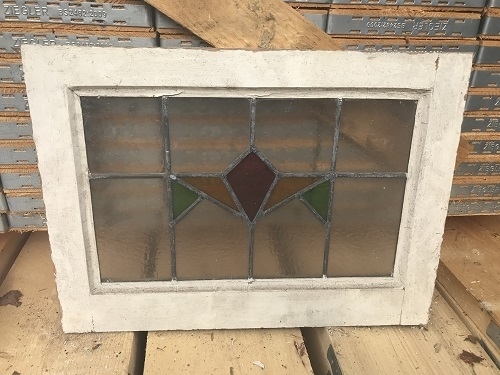 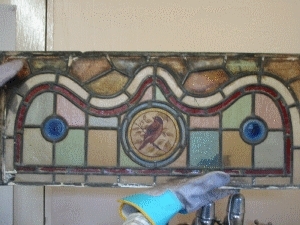 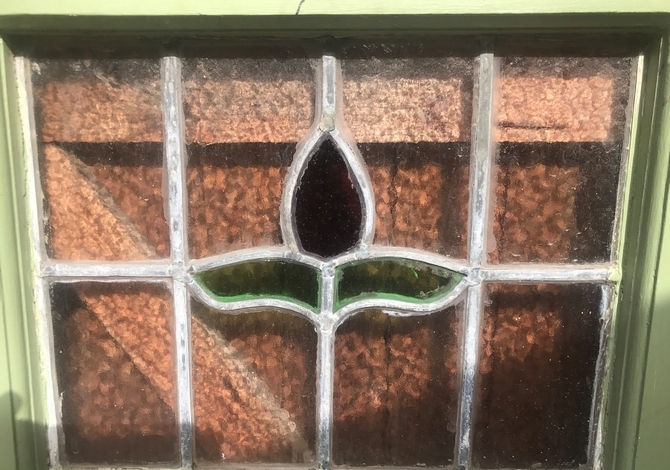 These vary from the simple coloured leaded lights of the 1930s to fabulous painted glass of the 19th Century. 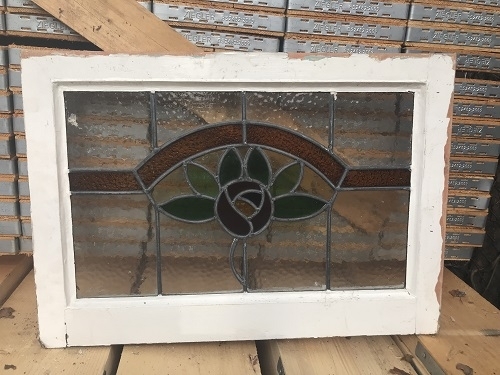 Stained glass has become a popular way of incorporating a bit of colour and design to internal wall and partitions. 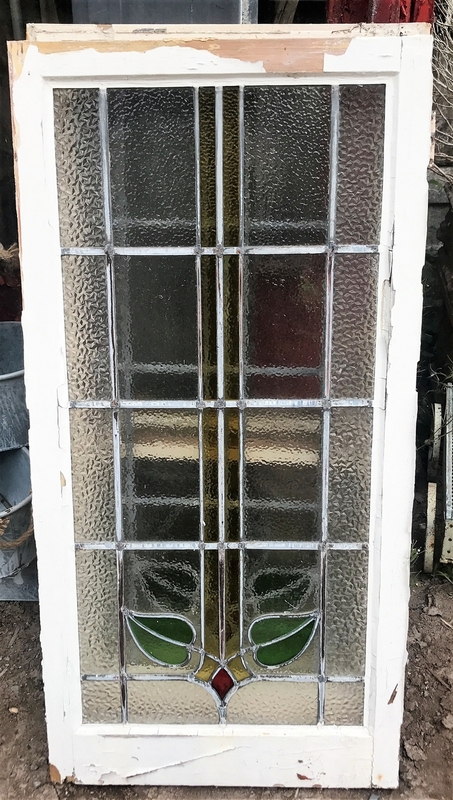 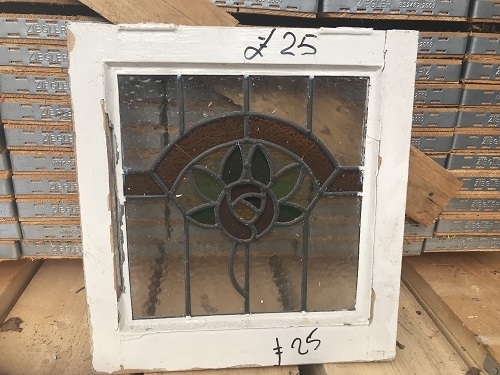 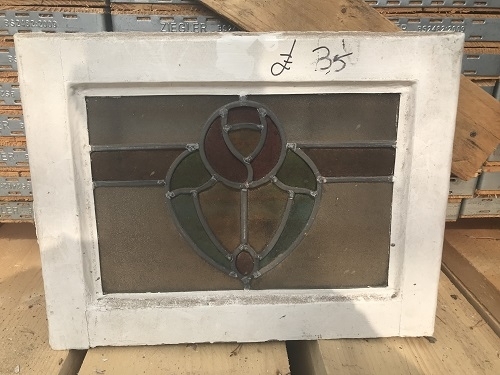 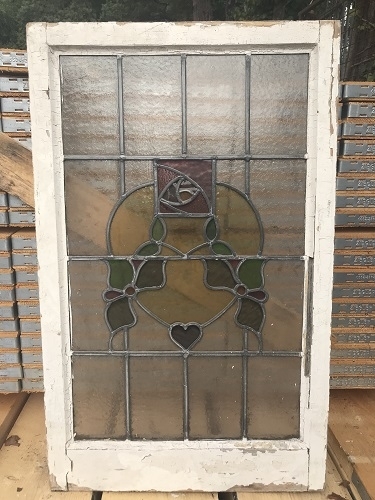 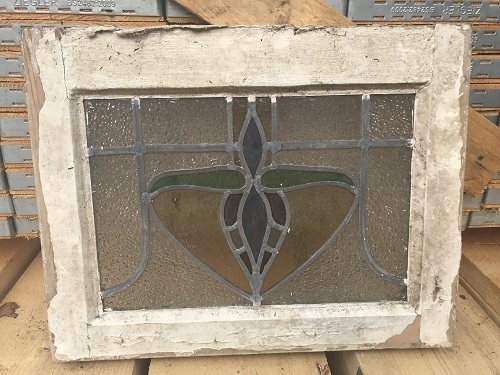 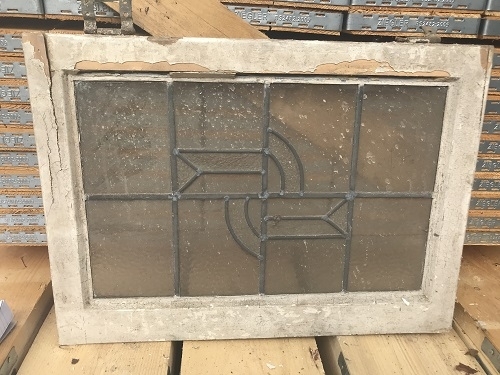 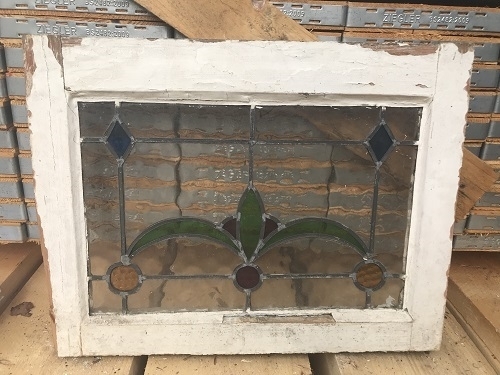 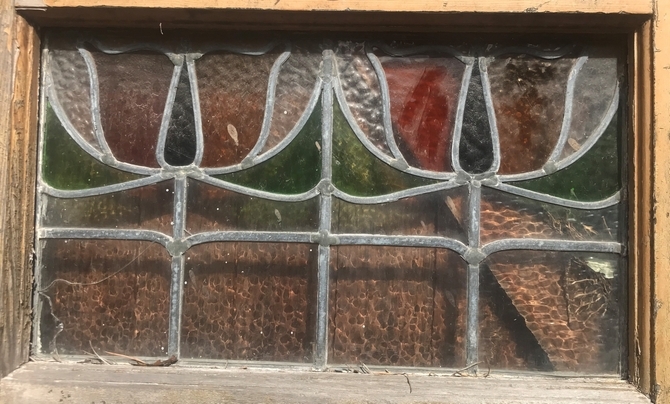 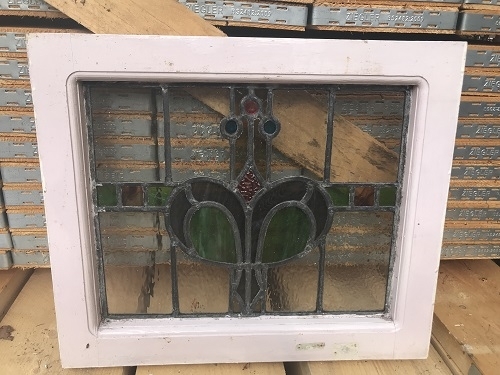 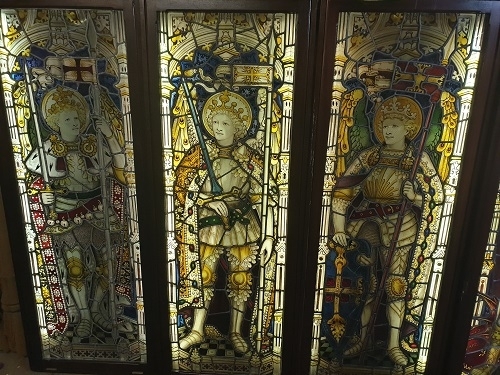 We have magnificent large panels of gothic inspired glass from churches with saints and angels, intricate pieces of domestic Victorian glass incorporating painted roundels within geometric patterns of coloured glass, then the sinuous curves and motifs of the art Nouveau period, through to the angular and geometric designs of the Art Deco period.